…because living and loving well take practice. Mindful Presence offers mindfulness and compassion programs and retreats for individuals and couples that are evidence-based and support the art of living and loving with more ease, emotional intelligence and joy. Maggie (Masters Couple Therapy, BSW, MA) is a Couple Therapist and Mental Health Social Worker. She runs a private counselling practice specialising in couples, based in Castlemaine, Victoria. Maggie takes on limited referrals with just those people ready to engage in the intensive work essential to the process of change. The next couples retreat and workshop is in Hepburn Springs, 31 May - 2 June, 2019. A retreat veteran, Maggie’s vision is to create the sort of retreats she herself would love to go to - warm, spacious, with opportunities for in-depth learning and silence, and in a beautiful natural setting with delicious food. Coming up is the Brene Brown Daring Way retreat at Wilson’s Promontory, 28 April - 3 May, 2019. See below for more information about this, Hepburn Springs and other retreats. Maggie specialises in Mindfulness Based Stress Reduction (MBSR) and taught this 8-week program in Melbourne for Openground, Australia's leading mindfulness body, from 2010-2017. She now teaches this and other mindfulness-based programs - including Mindful Self Compassion, the Positive Neuroplasticity Training and a 6-week Deep Rest program - in Hawthorn and Castlemaine. Maggie has also trained with Brené Brown and team to become a certified Daring Way and Rising Strong facilitator and offers this work in a retreat format. 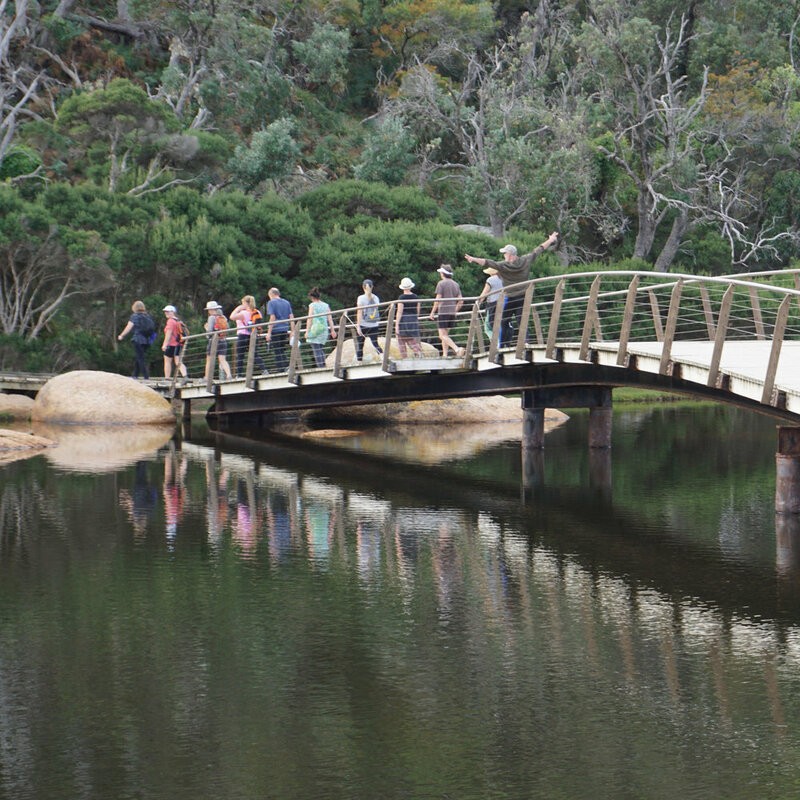 After an amazing experience at Wilsons Promontory I am so excited to be offering Brene Brown's the Daring Way™ workshop/retreat there again next year (28 April - 3 May 2019). Limited places available, book here. Maggie divides her working time between counselling couples in her Private Practice and teaching Mindfulness Based Stress Reduction, Mindful Self Compassion and other 8-week programs in Hawthorn and the Castlemaine area. She also provides specialised workshops and retreats in beautiful settings in Australia & beyond, and lectures annually at Swinburne University in the Masters of Counselling stream. Maggie’s background includes almost 30 years working in Mental Health Social Work. She was based in Oncology and Palliative Care in 2006 when she discovered the life-changing mindfulness work of Jon Kabat-Zinn. Having participated in her first 10-day silent retreat in 1994 she already knew the power of meditation, but the Mindfulness Based Stress Reduction program provided a way of more fully integrating mindfulness into her personal and professional life. After training with Kabat-Zinn & others, she was invited in 2010 to teach for Openground, Australia’s leading Mindfulness Training body, and has led one or more groups each school term ever since. In recent years, Maggie also completed a Masters Degree in Relationship & Couple Therapy. She is one of a handful of Australian Mindfulness teachers approved by Rick Hanson to teach his Positive Neuro-plasticity Training course, and recently also became accredited to teach Brene Browns’ The Daring Way and Rising Strong Programs and Kristin Neff & Chris Germer’s Mindful Self Compassion Program. Maggie is passionate about mindfulness and the related neuro-science that suggests that – because our tricky mammal brains are hardwired for survival, not ease – we need to both understand and actually “practice” what it is that helps us live and love fully and well.